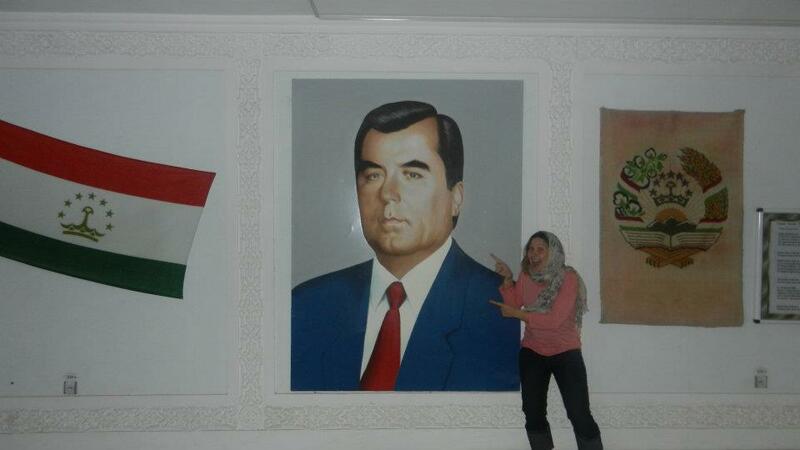 On Saturday we were lucky enough to take a trip to Kulob, the third largest city in Tajikistan and the birthplace of everyone’s favorite Tajik president, Emomali Rahmon. Actually, we learned, he wasn’t born in Kulob but in a village nearby, which we drove through on our way to Kulob proper. He looks so young in this photo! Awe. Kulob is a decent distance away from Dushanbe. About three and a half hours. But the trip was punctuated by interesting scenery, and odd stops. We stopped at a beautiful reservoir to eat rhubarb. There was basically an entire market in the middle of the Tajik “highway” just devoted to rhubarb. This is a great country. Also, rhubarb is delicious! 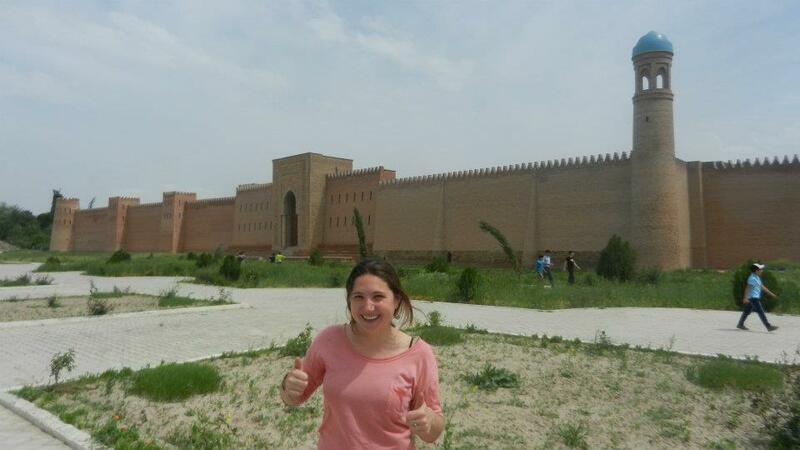 Near Kulob, we stopped at an old fort. Now, generally I really like old forts. But I hadn’t had any coffee, and we left Dushanbe at 6am. So I was grouchy and mostly stomped around the fort, which has clearly been rebuilt within the last 5 years. I managed to take nice photographs though. Putting on a brave face, despite being uncaffeinated. After a lunch that involved a cup of coffee, I was feeling much happier and genuinely enjoyed visiting the mausoleum of Mir Sayyid Ali Hamadani, which was in Kulob town. He seemed like an interesting fellow: He was born in Hamadan in Iran, and traveled all the way to Kashmir, where he spread Islam and Sufi thought. On one of his travels between Kashmir and Hamadan, he died hear Kulob. Hence, mausoleum. 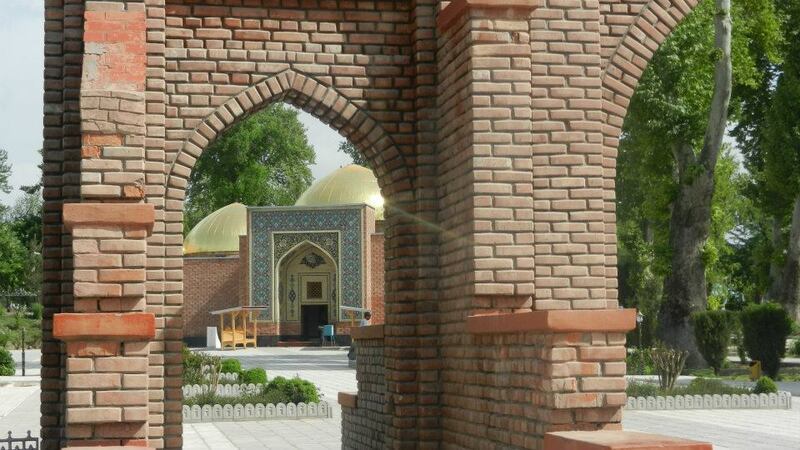 The park around the mausoleum was certainly among the most pleasant places in Kulob, if not Tajikistan. It also featured the young Rahmon picture from above. Because, you know, what goes better with 14th century Sufis than 21st century post-Soviet personality cults?! Afterwards, it was time to head back to Dushanbe. The other excitement of the day was stopping to find animals as we drove along the road. We stopped in the morning and found turtles. 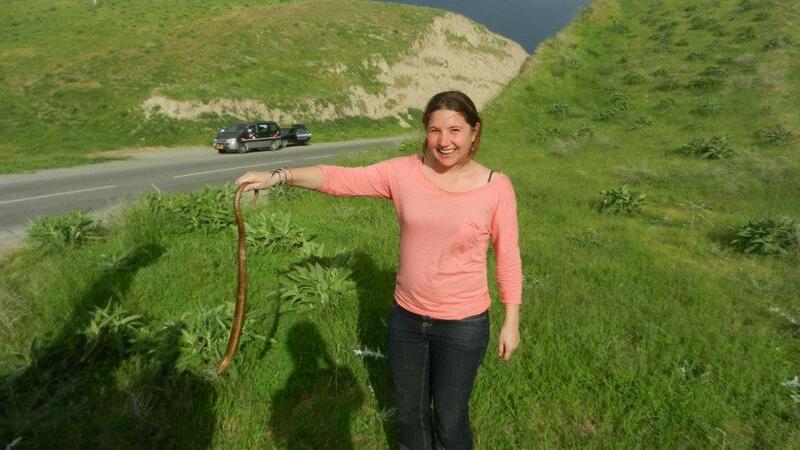 In the afternoon we found a snake. Actually, a legless lizard. Not poisonous. Next weekend, we’re going to Khujand. The second largest city in Tajikistan, and supposedly also one of the most pleasant places here. Chris and I went to buy plane tickets on Friday. In a reminder that Tajikistan is pretty much the definition of cash-based economy, you can’t even buy flight tickets with a credit card here. We will drive there, because the idea of Tajik mountain roads after a tough winter is just so exciting. And then we’ll fly back to save time. This entry was posted in Uncategorized and tagged Central Asia, dushanbe, Farsi, Khujand, Kulob, mausoleum, old forts, Persian, Poetry, Study abroad, Tajiki, Tajikistan, Travel, wildlife.